The equivalent of one truckload of plastic enters the ocean every minute — but where is it all coming from? Up until recently, we weren’t sure. But to solve the plastic pollution crisis, we knew we needed to arm ourselves with the best information possible. So, together with our partners in the Break Free From Plastic movement, we enlisted the help of 10,000 volunteers across 42 countries to embark on the world’s most ambitious plastic cleanup and brand audit project yet. Nine months, six continents, 239 cleanup events, and more than 187,000 pieces of trash later, we now have the most comprehensive snapshot to date of how corporations are contributing to the global plastic pollution problem. And that’s just the top ten out of hundreds of multinational brands contributing to plastic pollution across the globe. Now comes the important part: we have to hold these brands accountable for their plastic pollution. Let’s talk about Coke. 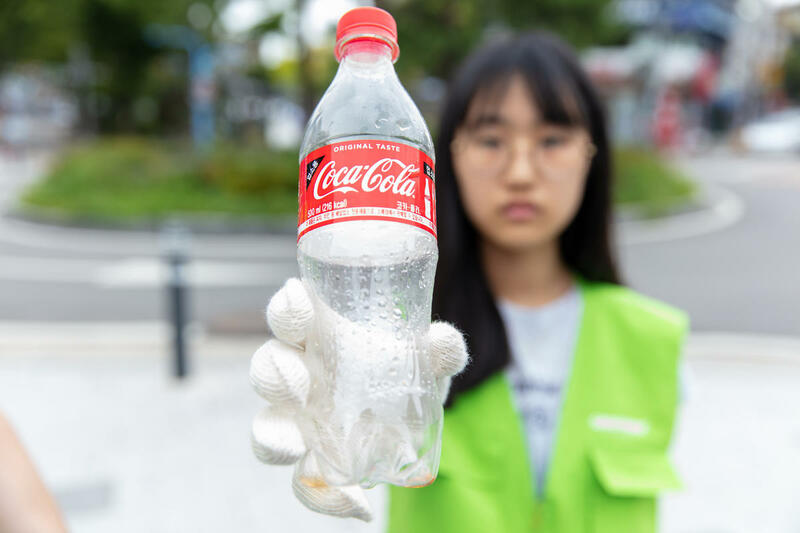 Coke-branded plastic was not only found in 40 of the 42 participating countries, it’s the only brand to rank in the top three on all six continents (just missing Antarctica, but unfortunately there’s plastic there, too). Just last week, the crew on board the Greenpeace ship Arctic Sunrise even found an intact Coke bottle in the Great Pacific Garbage Patch, hundreds of kilometres from any inhabited land. As some of the largest companies in the world, Coke, PepsiCo, Nestle, and the others on this list have the chance to be part of the solution to the plastic crisis. Instead, they remain a part of the problem, selling us plastic drink containers and packaging we have no choice but to throw away. Here’s how you can call out Coke and all the corporations polluting our oceans for profit. We all have a role to play in tackling plastic pollution. But the reality is, individual consumers are already bearing the burden of this crisis. We’re swapping plastic bottles for reusable glass and metal, ditching disposable straws, avoiding unnecessary packaging in our grocery stores, and cleaning up our beaches as best we can. 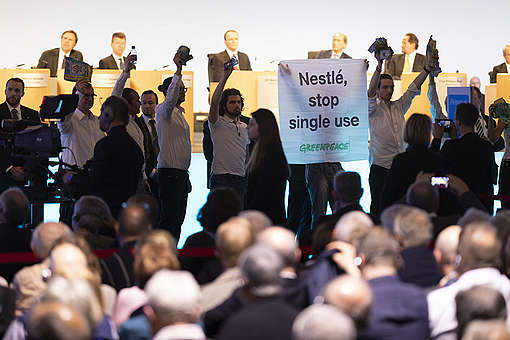 But there’s only so much we can do if companies don’t step up and provide more sustainable choices. To solve this problem, we need to change the entire system — from how our products are made to what happens when we’re done with them. And we need corporations to be part of the solution. Here’s what you can do. Whenever you see a piece of plastic where it doesn’t belong, pick it up, take a photo, and share it on social media using #IsThisYours. Don’t forget to tag the brand! Together, we can be the generation that ends ocean plastic pollution. Don’t forget to read the full Break Free From Plastic global brand audit report for more information on the corporations contributing to ocean pollution — and what you can do about it. Ryan Schleeter is a content editor for Greenpeace based in San Francisco, USA. Don't you think it is time to stop producing plastic? I feel that as ENGLISH is the world language it would be a good idea to have ENGLISH in every coumtry on your listing. I live here in Germany and on your listing of countries there is English not mentioned. There are many English visitors to these countres. Please try that too. Thank You Very Much for what you are doing. I am an American and travel all over the Globe. I would like to see this printed in these countries too. 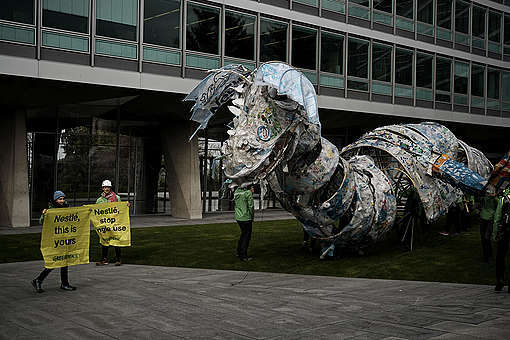 Thank you for all your hardwork, greenpeace! You are all awesome! Could you hold our government officials responsible for legislaton to mandate plastic controls at the source? With helpful automated links based on zip code to "your officials". Thank you for taking the lead in this planet concious endeavor. We need to become Liliputs from the Gullivers that we are in terms of our footprints! In Tezpur , Assam, Pravodhana, an NGO helps Puja celebrations go plastic free by employing villagers who make plates out of the fleshly trunk of the banana tree that goes abundantly here. Everyday for 5 days , an avoid 500 plates were made for the community feast. Each one of us can contribute to change! Great question. But think about it this way: if your sink is overflowing with water what is the first thing you do? Mop up the floor? Scoop up the water? Or turn off the tap? No amount of recycling or beach clean ups can get us out of this plastic crisis, and plastic producers are set to increase production by an additional 40% over the next decade. That’s why to truly turn off the tap on plastic we need to stop its production in the first place.